Katherine conducts classes for ALL AGES. 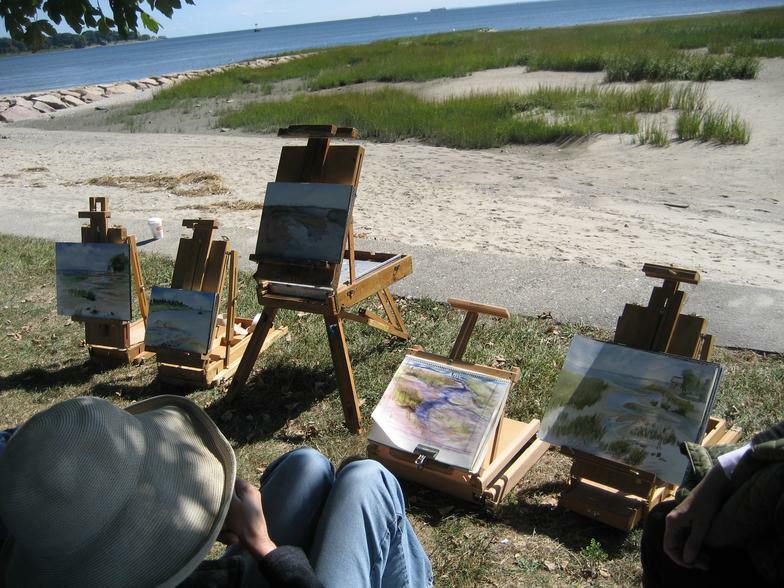 Instruction is available in drawing, painting, printmaking, mixed media and plein aire. 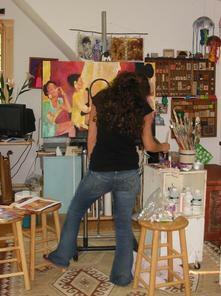 The emphasis of her classes is to learn the tools and skills necessary for individual visual expression. Through exploration of medium and artistic projects, Katherine helps students find their voice. 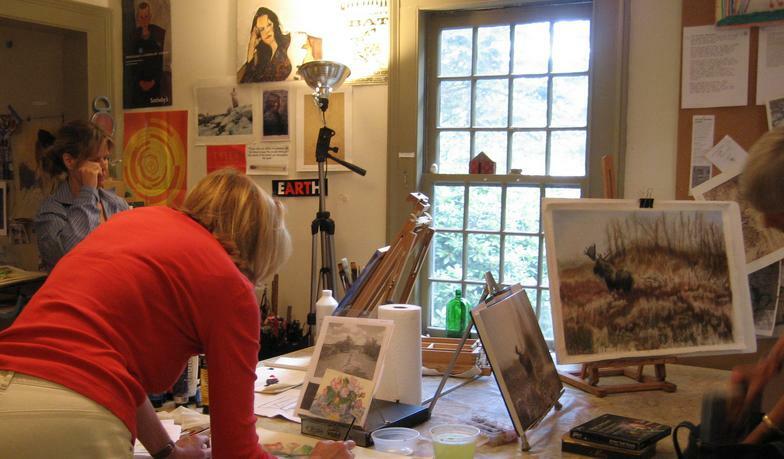 Katherine's classes are custom designed for each of her students. 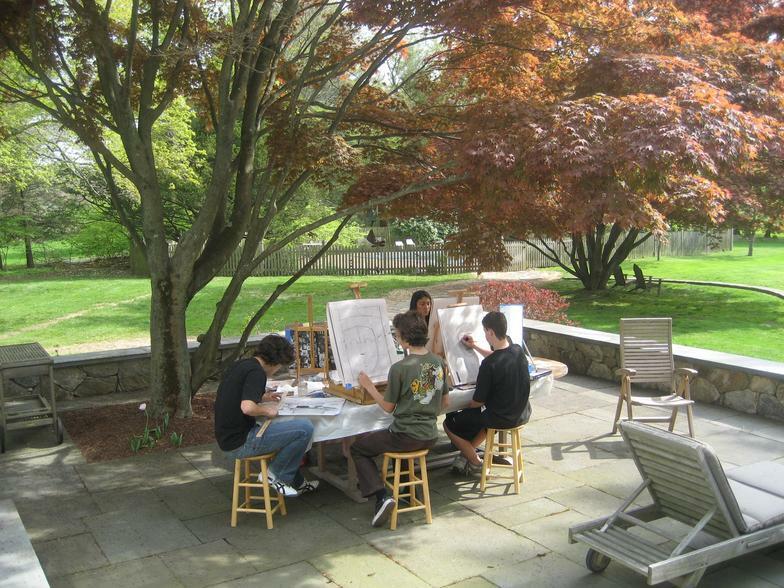 Creative assignments are developed and completed in the studio to meet requirements of each college and institution of interest. In addition to the studio time, Katherine offers services in college counseling for the creative student. This includes meetings to discuss college choices, the creation of a timetable of requirements and deadlines, and assistance with questions and application issues that may arise pertaining to the student's portfolio. Katherine also assists in the creation of the portfolio. She photographs and scans the student's artwork, and works individually with each student in choosing and arranging the artwork for the portfolio, creating a typed inventory, and then burning CD's and/or uploading the final portfolio to colleges' websites. schools. We are forever grateful to you! He absolutely could not have done it with out you." Sarah H.
"We are so grateful for the work you did with Kate in getting her portfolio ready. Thank you, thank you, thank you - for everything!" Marcia S.
"The college process was very stressful but with your help you made it all easier and I could not be more grateful for my outcome. Thank you for all your support and guidance when deciding where to apply and with my portfolio." Maddy K.
"Thank you so much for all the help and guidance you gave me throughout my college process. Simply the fact that you believe in me means so much." Liv C.
"Thank you so much for everything you have done for me. You have been an inspiration, motivation and support through this entire process. I will forever be grateful! Amy P.